Almost all kinds of industry have great demand in fuel. However, the fuel price keep raising year by year. Nowadays, biomass briquetting offers us a better option to reduce the cost on fuel supplement. Biomass briquettes are more economical and friendly than traditional black coal. Low cost, no chemical, no pollution! This why briquetting plant is known as a good investment project. In fact, there are millions of biomass wastes burnt inefficiently around the world every year, releasing large amount of carbon and making terrible air pollution. Briquette press machine offers a perfect way to make the optimum use of forestry and agricultural residues such as wood wastes, corn stalk, groundnut shells, straw and so on. Through briquetting, loose biomass wastes will be extruded into high density solid fuel which can be used for heating in industrial boilers. 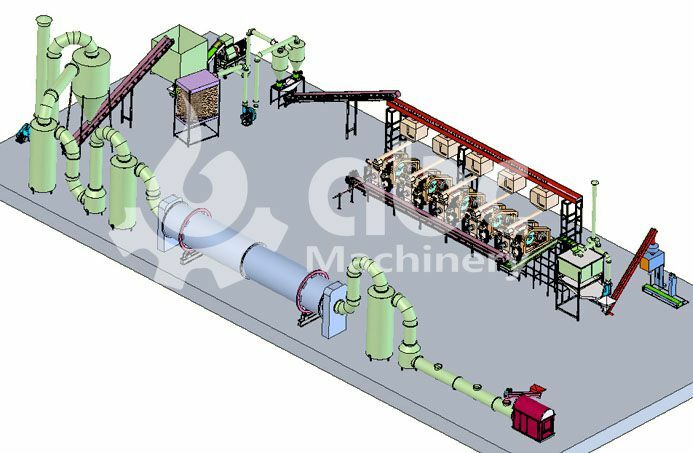 Briquetting plant is perfect project to invest in, especially the agricultural based countries such as African countries, Sri Lanka, Pakistan and India. Since there are huge resources of forestry and agro wastes, the raw material cost is relatively low. The requirement of wood briquettes are great in industrial based countries.